One might think that the community has moved from the original since the release of Doom II, but plenty of members continue to carry a torch for simpler gameplay rendered in an episodic structure. Serious_MOod is one such individual and while S_M's works appear to be slightly canted toward Alpha-inspired episodes (Beta Labs before this and BLABS2 after) he or she actually started out with an E2-derived delectation (Dark Side of Deimos) back in 2013. 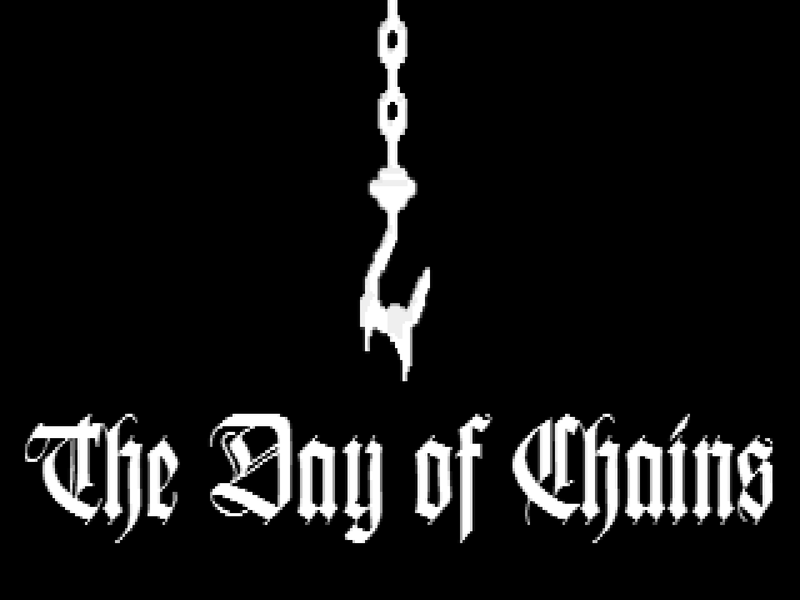 The Day of Chains, released in late 2016 for limit-removing ports, is a similarly inspired instance though it actually occupies E1M1 with a little buffer / holding pen map in E1M2 in order for the experience to remain on the palette rather than being immediately cleansed by some rambunctious Romero rivalry. My impression of Serious_MOod was that of an author who favored the original trilogy. S_M had two episodes to his / her name, a Shores of Hell replacement titled Dark Side of Deimos and an alpha-inspired outing with fellow Russian Chaingunner called Beta Labs. Most of the RDC crew have dabbled in one of their many Doom II community megaWADs, often derived from speedmapping contests, but MOod has yet to grace one of their rosters. As a result, the existence of BID II came as a surprise. Released in 2016 for Boom-compatible ports, it's essentially a MAP01 replacement for Doom II plus a little buffer scene in MAP02 to keep you from rolling into American McGee's Starbase. 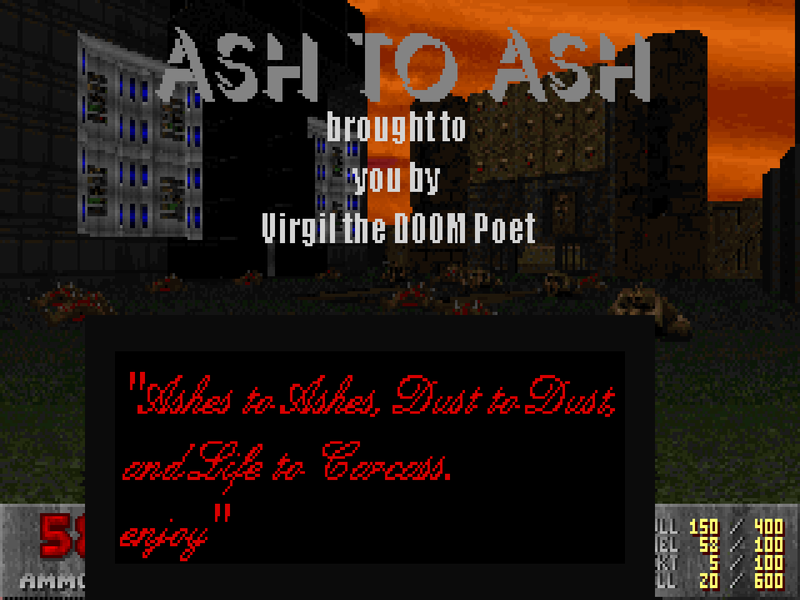 Virgil was one of many authors active during Doom's source port boom, starting out publishing stuff in 2000 but kicking off 2001, which dates the bulk of his material, with Ash to Ash. Later on he would contribute a level to Paul Corfiatis's 2002: A Doom Odyssey and worm his way into a Plutonia 2 map credit. ASH2ASH is a MAP01 replacement espousing the Plutonia theme for Boom-compatible source ports and plays decently in ZDoom with one major exception that didn't hurt my feelings. Suffice it to say, I'd already had my fill of grueling, Hellish ambushes and one broken slaughterfest came as quite a relief. Vick Bobkov aka Virgil the Doom Poet has two major claims to fame. He was a single level contributor to Paul Corfiatis's 2002: A Doom Odyssey and managed to worm his way into the Plutonia 2 project during its early stages. Vick got his start in the source port era and while his first release, Black and White, makes no mention of other executables, Dark Castle targets the Boom engine and more generally limit-removing source ports. 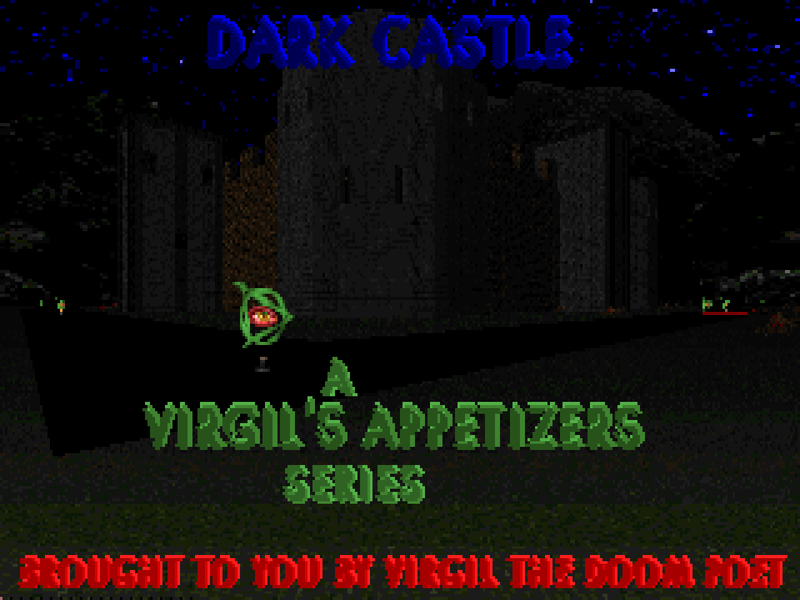 Virgil's most active year was 2001, but this three-level minisode also referred to the author as an appetizer was published in 2000. Dark Castle is definitely an accurate title, but as they say, the devil is in the details. I would like to ask... As a person who wrote hundreds and hundreds of map descriptions, do you have any advice on how to make one's writing more interesting and varied? For example, do you sometimes struggle to come up with something new to say that you haven't already said about many other wads before? Maybe at times you feel like you're repeating similar sentences. After all, lots of wads kind of imitate each other and I think it's not always easy to find enough unique moments to comment on. How do you deal with that? There are, I think, two aspects of this question. The first is about making your compositions more alluring to other people and the second is your own engagement in the act of composing map descriptions. For the former, I don't have a good way to measure how engrossed readers are with this blog as it relates to the quality of my writing. The vast majority of the people commenting are authors thanking me for reviews and players offering their own experiences. The only major negative feedback I've ever received - with one exception that I'll get to in a minute - comes either from people who hate a PWAD given a good review (e.g. Erkattäññe) or those who take issue with negative opinions about a beloved release (e.g. Hellbound). The only real way for me to gauge raw interest is based on web traffic statistics but even then I'm ignorant of the why. The ol' Virge got his start back in the year 2000 during the source port boom before having a fairly active 2001. His main claim to fame is probably contributing a level to 2002: A Doom Odyssey but there was also that one time where he "punched up" some of the levels for Plutonia 2 back when Sam Woodman ran the show and one of them made it into the final product after some tender love and care from Thomas van der Velden. 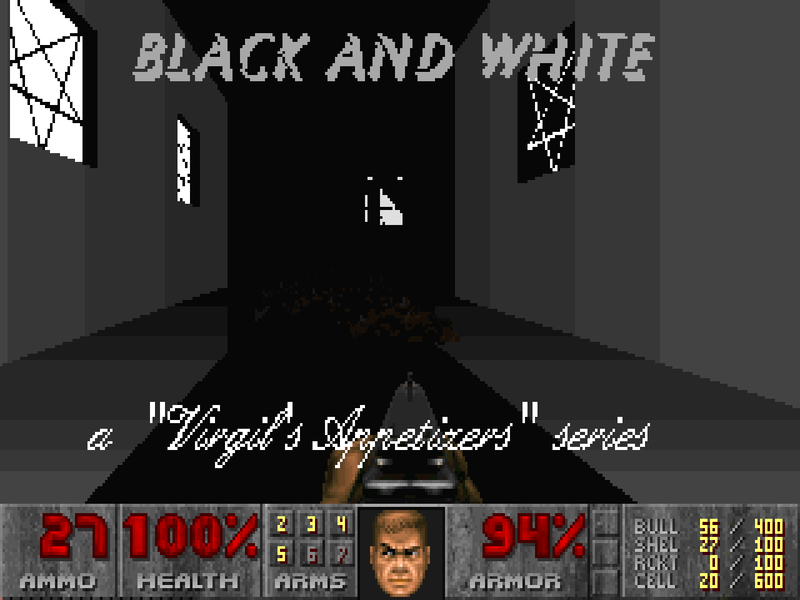 Black and White, a MAP01 replacement for Doom II, was his first release but it didn't find its way to the /idgames archives. It would have gone down with Geocities had a kind soul not scraped it from the cold bosom of the internet. BW is apparently vanilla-compatible but I've been informed that the markers for its two flats need to be fixed. While Heretic gets considerably less love than Doom or Doom II there exist a number of authors still carrying a torch for its dark fantasy action. Stormwalker, who also goes by Vordakk, is one such individual. While he hadn't done anything Corvus-related since 2011 that year saw two releases, an episode titled Call of the Apostate and a one-off adventure named Dark Deity's Bastion. 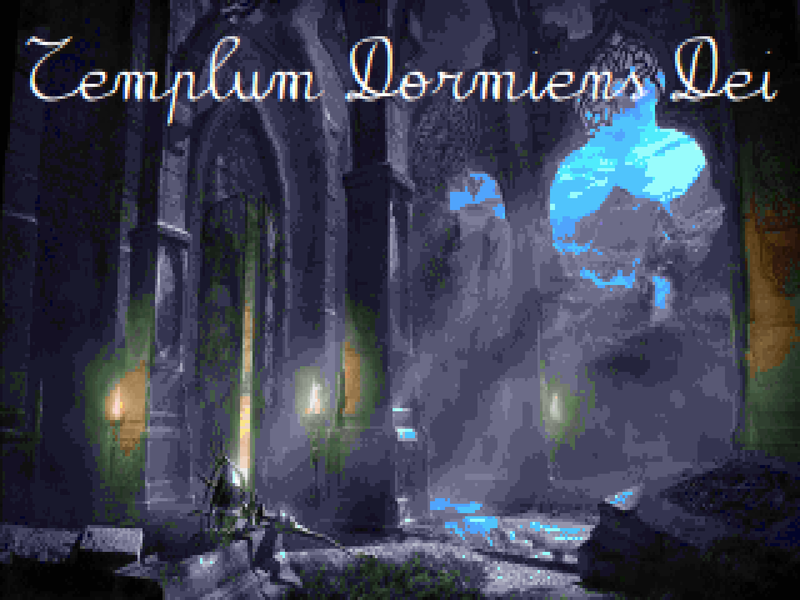 Templum Dormiens Dei, a single E1M1 replacement for Heretic published in late 2016, is a sequel to the latter. 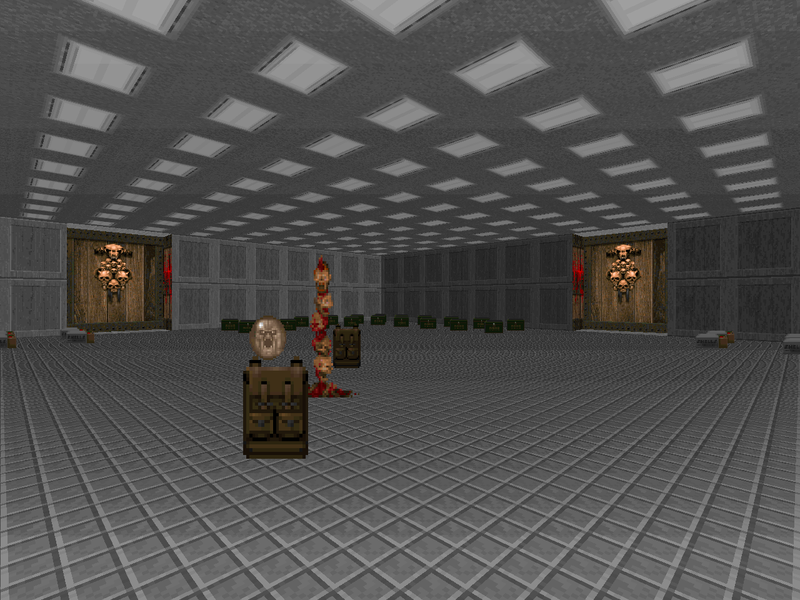 TEMPLMDD requires a source port from the ZDoom family (specifically, version 2.8.1) as it uses a few features including DECORATE monsters and some nominal room-over-room geometry. Before he went on to contribute to community darlings 2002: A Doom Odyssey and Plutonia 2, Joe Pallai had every intention of making a one man megaWAD. PUREDOOM was to be its name and it probably would have been regarded as a classic release or at the very least enshrined by word of mouth in the perennial underrated lists that continue to crop up. He only ever finished four of the levels, though, three of which saw an official release. The Gate, a single map replacement for the MAP08 slot published in 2000, was the first of the mapset to be uploaded to the archives to be followed by Entryway (MAP01) and then Crossfire (MAP04). PUREDOOM was going to be a Doom II megaWAD released piecemeal by the author, Joe Pallai. Only three of the levels were actually uploaded to the /idgames archives with a fourth submitted to the initial draft of the Plutonia 2 project. Crossfire was the last of these maps to be published but it is the intermediate one in terms of the intended running order, the MAP04 to Entryway's MAP01 and The Gate's MAP08. As was the case with the others it saw itself uploaded in 2000, laying the ground for a select pedigree that gave way to a distinguished issue including 2002: A Doom Odyssey, End Game, and the aforementioned sequel to The Plutonia Experiment. Joe Pallai hasn't been one of the community's more prolific authors but he's enjoyed a fairly prestigious career during the source port boom as a contributor to 2002: A Doom Odyssey and the lesser-known Endgame as well as part of the original Plutonia 2 development team. Joe started out making his one-man megaWAD, PUREDOOM, and releasing the levels as they were finished. From what I can tell he completed four of them, with three making it to the archive and one languishing in obscurity as one of the cut Plutonia 2 levels. 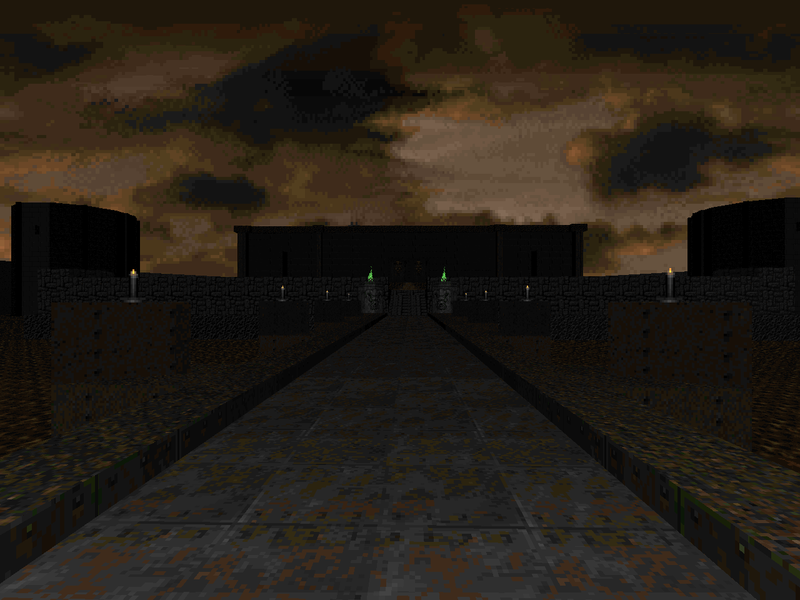 Entryway is a MAP01 replacement for Doom II released in 2000 and I assume that it would have been the first level of the finished megaWAD. 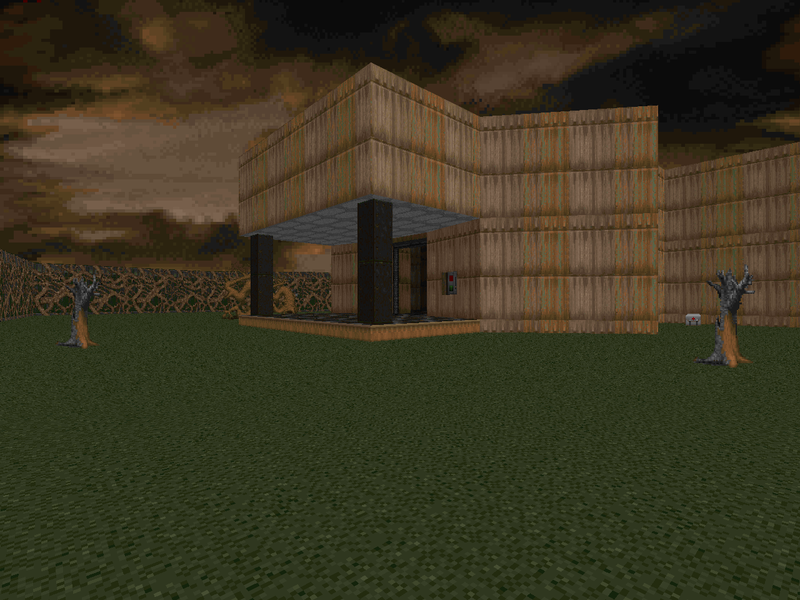 Squares, a single level released for Doom II in 1995, has earned a place in community history for two reasons. It was one of the earliest slaughtermaps in a sense that's distinct from levels containing slaughter-like encounters (i.e. the teleport ambush featured in "Suburbs") while connoting some sort of challenge. 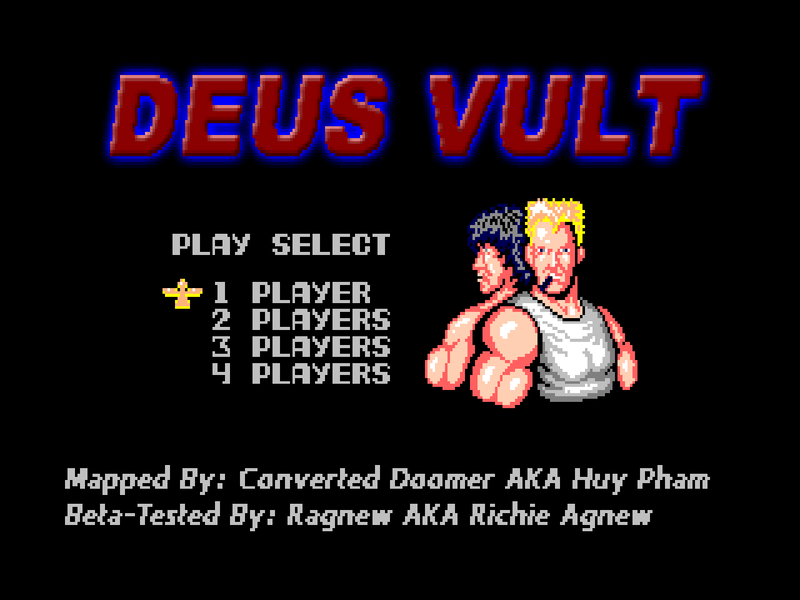 It's also one of the pillars upon which Huy Pham's Deus Vult was built, a fact that's more obvious in the release of the alternate / early version Deus Vult Zero. In the .TXT, author Costa Lappas advertised it as "extremely hard if not impossible to complete on the hard level". A quick look at the DooMed Speed Demo Archives shows at least seven players to have successfully cut their teeth on 1SQUARES while playing on Ultra-Violence and one finishing the map on Nightmare, so it's certainly not insurmountable. In spite of a dry spell brought on by things that must dominate my time outside of this blog, with the review of Deus Vult I've broken into 600 reviews with six and a half years of operation. Gosh, that's a long time and a lot of words to be writing about a nearly twenty-four year old computer game. I would like to think that 2004's Deus Vult (as well as its development Hell sequel, Deus Vult II) has left a profound influence in its wake. I remember when I was first getting back into Doom and I was held enraptured by gameplay videos, watching the player's never-ending confrontation against overwhelming odds in wondrously imaginative environments tempered with shades of author amusement. I wanted to play Doom until I could at least get by these levels on Ultra-Violence and experience them on their own terms. I'd prefer to think I've gotten my stripes after playing through the works of authors like dannebubinga and Ribbiks; in fact, I suspect that I may have overshot my goal by several leaps and bounds. 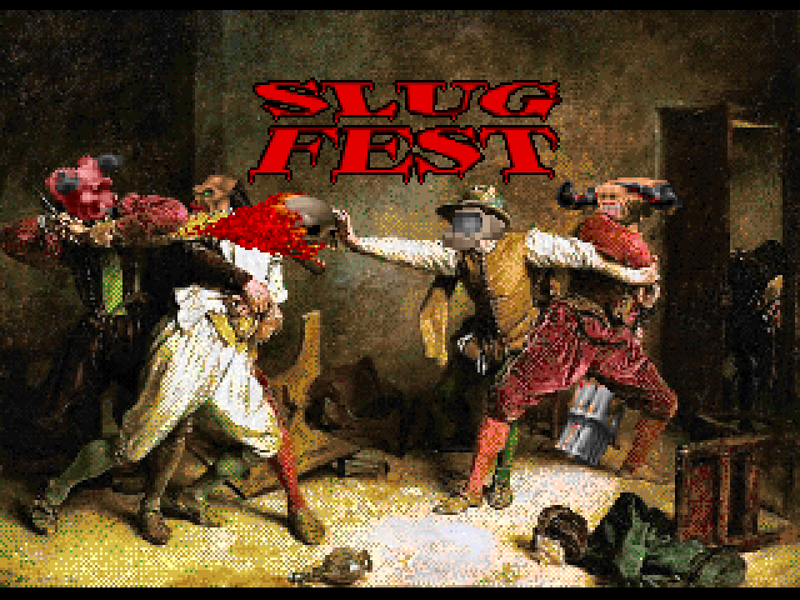 Slugfest. Doom City. 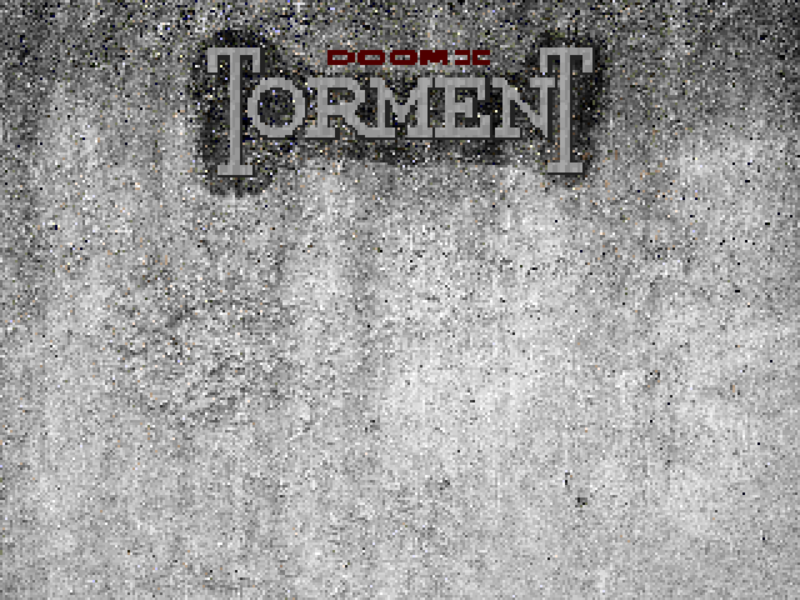 Torment. All released by Shamus Young, in 1995, with original music from the author, and pulling double-duty as both single / co-op and deathmatch maps and mapsets. 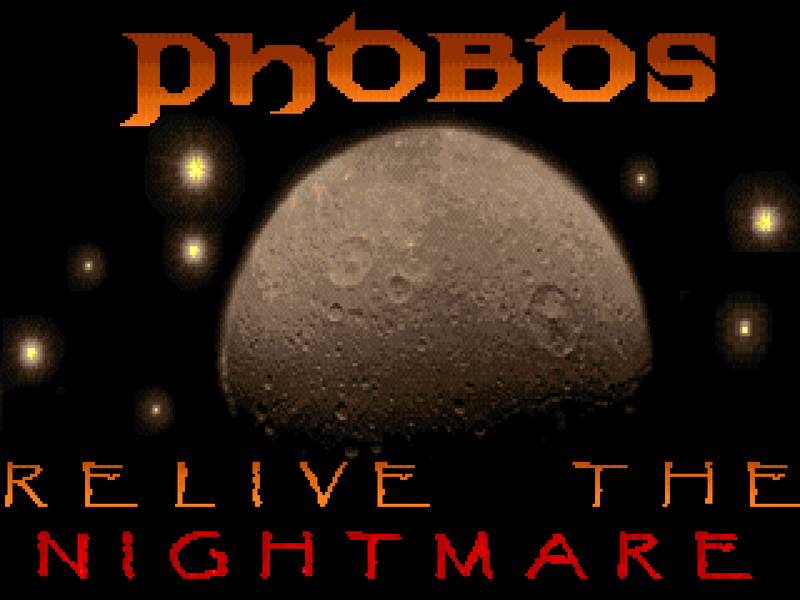 Phobos - Relive the Nightmare, the last of his Doom II works, differs in that it was published in 1996 but otherwise continues the same trends as the author's previous uploads in making aesthetically appealing levels with more complex layouts and relatively small bodycounts. The end result is a nine-level mapset drawing inspiration from Doom's shareware release yet thankfully remaining cast with Shamus's particular idioms. Shamus Young made a bunch of maps from 1995 to 1996, starting off with Slugfest and then moving on to the seminal Doom City before ending the year on Torment. 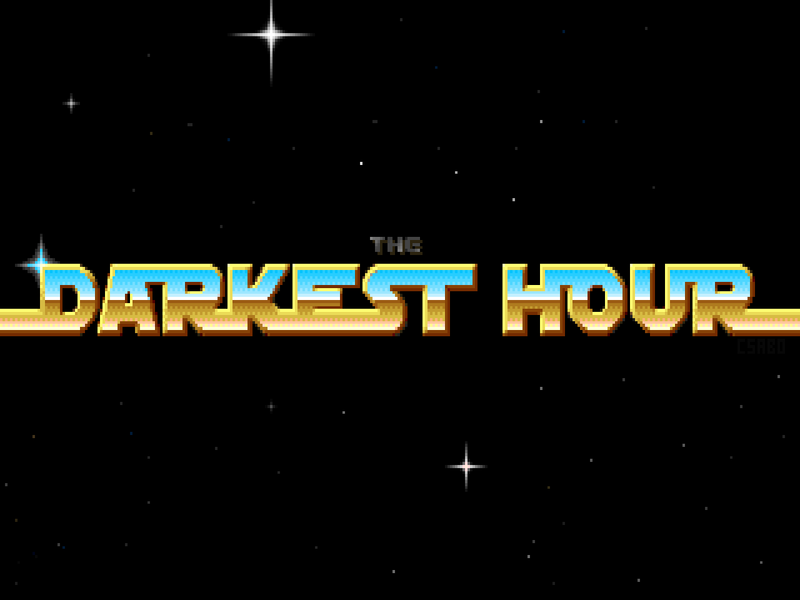 The last is a six-level minisode released in 1995 that continues in Young's tradition of trying to make levels just as playable in single-player as they are in deathmatch. I can't speak as to their multiplayer quality but there's a pretty clear difference between these maps and those featured in Slugfest, seeming more polished and less distinguishable as oriented toward player vs. player. Shamus Young has gone on to much fame as a blogger about all things geek culture. Back in 1995, though, he was making WADs like everyone else. 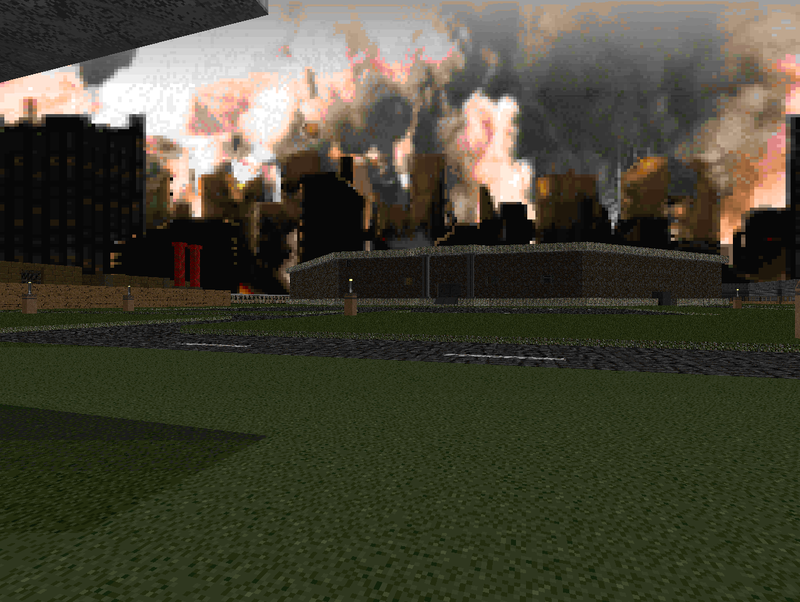 As far as popularity goes, his authorial career peaked at Doom City, a single map released in 1995 with a bunch of custom textures to simulate an actual urban environment at a higher level of recognizability than Doom II's abstract locales. His first publication was Slugfest, a ten-level episode for id's sequel also released in 1995. It attempts to straddle the line between PvE and PvP while using a series of small maps whose layouts are clearly oriented toward deathmatch but are also arranged for demon-slaying. I may not know Tony Sideris but I'm sure that he loves three things: shotguns, staircases, and Bjork. His buckshot love affair began with Genesis, a pleasantly bland two-level minisode released in 1996. It continued on to Debut, published later the same year, but with an added abundance of interesting stair work and lighting, hinted at in his first offering. Debut borrowed its title and many of its level names from Bjork's similarly-titled solo album. 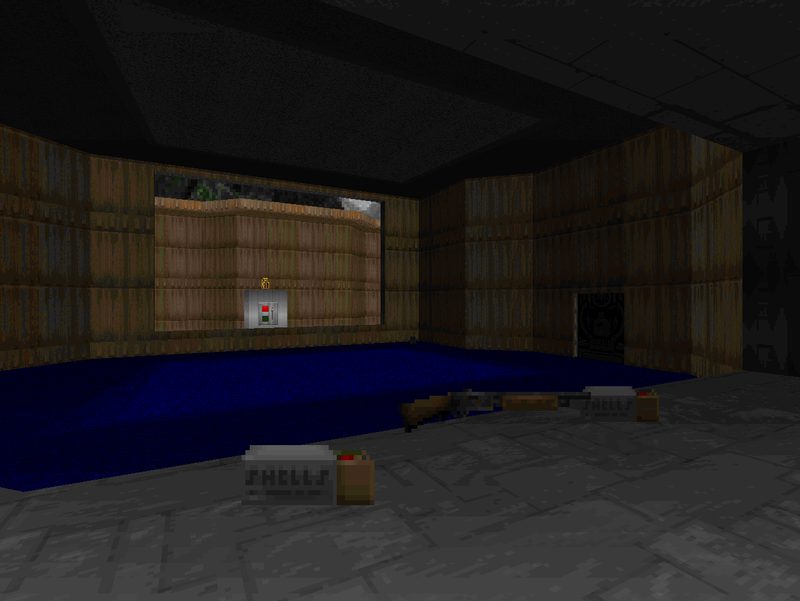 Post, released toward the end of 1996, is an eleven-level Doom II episode continuing the tradition and deepening the connection in ways no other Doomer has dreamt of. The works of Tony Sideris crop up on a lot of underrated PWAD lists. While his first release, Genesis, faded into relative obscurity, the followup episodes Debut and Post still get word of mouth accolades from classically-oriented players. What amazes me is that the author published all of these levels - a total of twenty-two - in 1996. It's too bad Tony didn't keep mapping into 1997; given where his skills were heading, he would have been a force to be reckoned with. 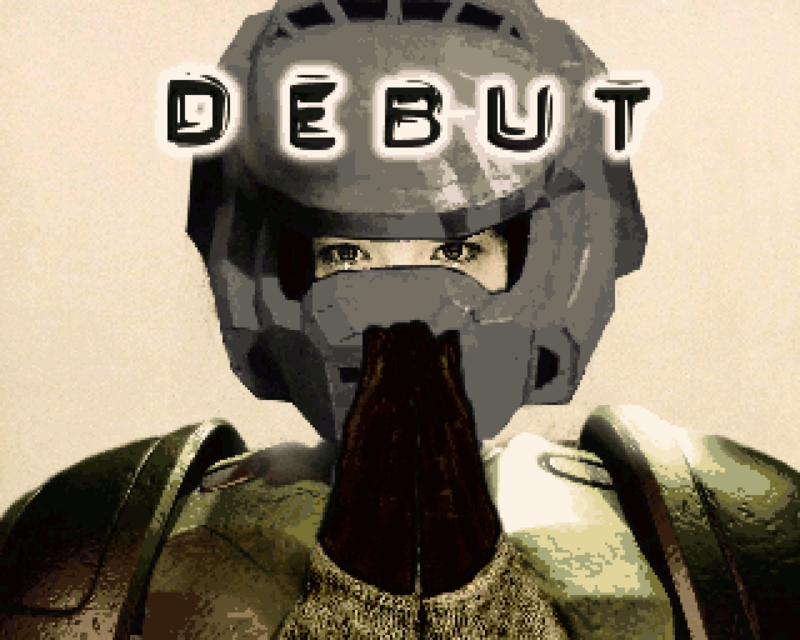 Debut is a bit of a change-up, swapping from Doom II to make an episode for the original trilogy that takes the place of Knee Deep in the Dead. Tony Sideris has left a legacy as one of the community's underrated early authors, churning out all three of his releases in 1996 and then disappearing, no doubt into a career in IT. 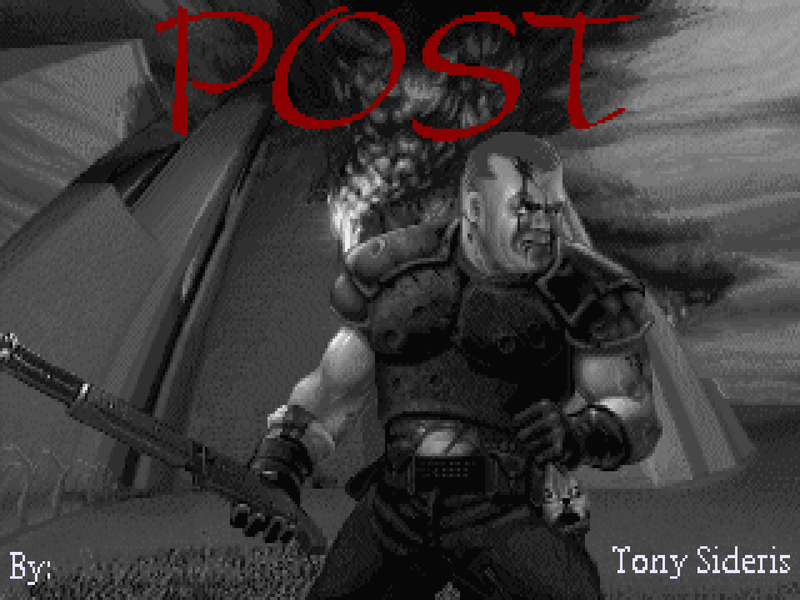 Most of Tony's accolades in "underrated" WAD recommendation threads are for the curiously-titled Debut for the original Doom and the follow-up episode, Post, published for the 1994 sequel. 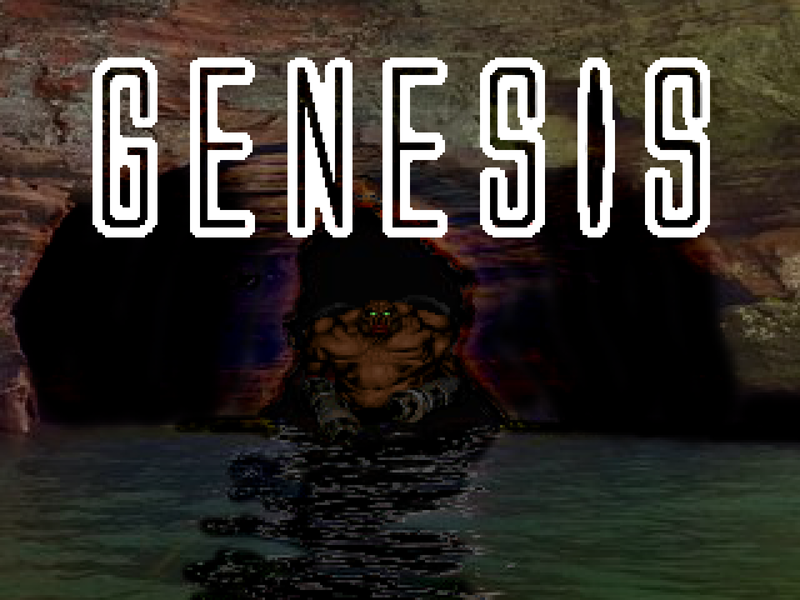 Before either, however, came a two-level minisode for Doom II by the name of Genesis. There is no indication as to the reasoning behind the title of this PWAD beyond the fact that it marks the beginning of his career; Sideris included no story in the text and implies nothing through his level design. All that's there is a pair of mild-mannered maps. Forest Valley definitely doesn't resemble a forest, nor does it really approach a valley. The sky, though, is unmistakable. If you've played the Heroes collection you may recognize it as the backdrop of the second episode. Jean Serge-Gagnon is a quintessentially 1994 author, delivering some of the era's least endearing aspects in a relatively playable format. The final version was released in 1995 and includes a preview of his subsequent project, OTTAWAU.WAD. It's a partial episode two replacement covering E2M1 through E2M4 as well as E2M9 with a few crude graphical accents and some new music. 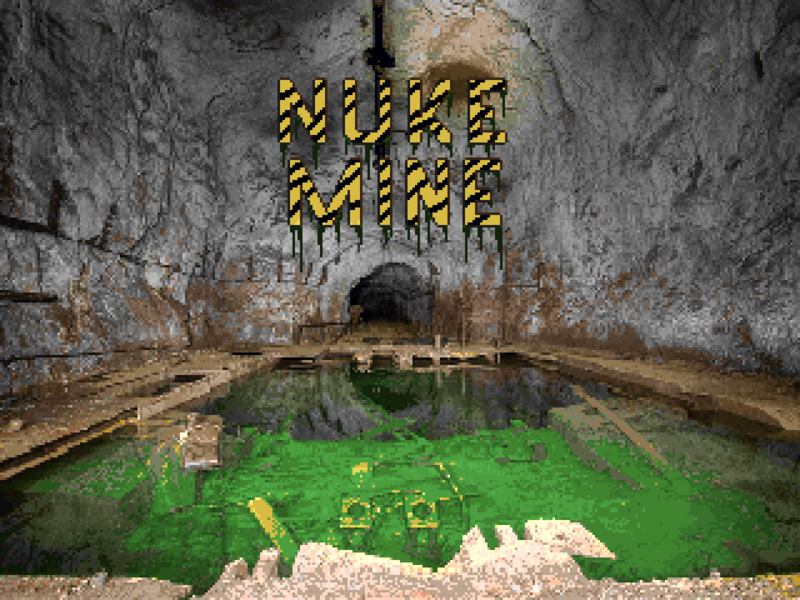 The first time I heard of Nuke Mine (subtitled "Come Get Some", linking to Nuke before Duke) was, as Never_Again reminds me via an old /idgames comment, through Sverre Kvernmo hawking it in his 1995 release .TXTs. An episode one replacement released in August of 1994, it's a word-of-mouth classic whose only real flaws are just as evident in the Serenity and Eternity episodes, making it an easy recommendation for anyone who digs the more polished works of Doom's early era. It wasn't Jason Hargreaves's first release (PANIC!.WAD, which was heavily revised and released as E1M2 of this publication) but you can still see steps of improvement as you play through as there are a couple of leaps in his proficiency as an author. When Hellbent more or less started Doom the Way id Did, I doubt that he considered its potential to become a movement. It's daunting to think of all the levels associated with the project, from the 27 in the official release to the 55 of the Lost Episodes, the insanity of No End In Sight's 38, and isolated releases like ProcessingControl's Castle of Fear. Callum Guy Oliver, aka phobosdeimos1, had no less than twelve submissions (thirteen if you count "Dark Passage"). Unfortunately, like his contributions to Interception, Oliver passed away before his DTWiD levels were published on the archives. PhobosDeimos Anomaly, released in the latter half of 2015, is the final element of his legacy supposing that no one has the unfinished third chapter in his Raw Action series. Thomas van der Velden has enjoyed a pretty prestigious authorial career, releasing Revolution! and its sequel, Harmony, all on his lonesome. He also made contributions to the much-lauded Plutonia 2 (among other things). 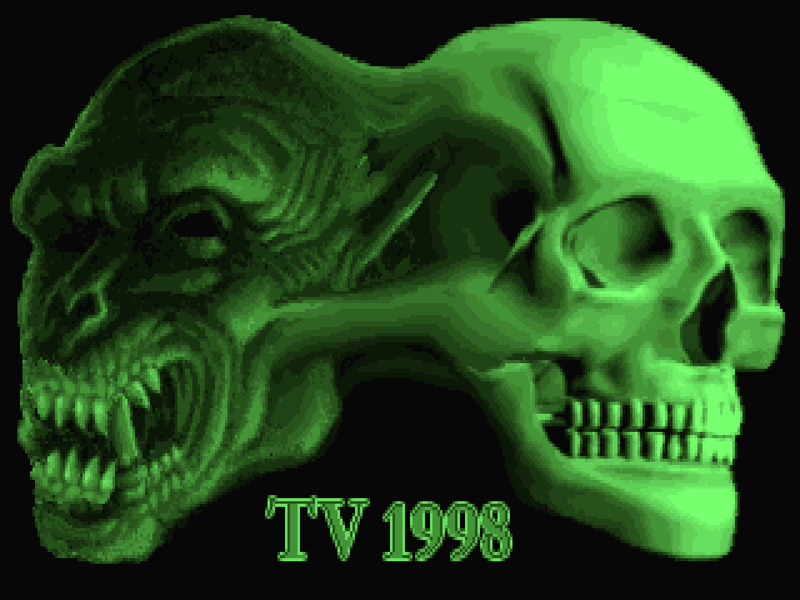 TV1998, a collection of twenty-two (22) levels for Doom II, was released in 2004 but all of Velden's heavy lifting was performed before Revolution! in 1998 with a little bit in 1999, hence the title. Its release appears to be one of those happy accidents where someone finds a forgotten backup of materials long thought lost. TV picked it up, dusted it off, wired it some new skies and a TITLEPIC, and sent it back into battle. Richard Wiles started mapping during the advent of source ports in 1998 but remained part of the vanilla vanguard. His output remains highly lauded; for example, his considerably-varied DICKIE series (well, technically DICKIE10) was named one of Doomworld's top 10 WADs of 1998 and he also clinched nods in 1999 for the brutal but acclaimed Crusades as well as his contributions to The Darkening E2 in 2000. SlayeR, a ten-map plus one secret mapset released in 2001, appeared to be his Doom swan song but Wiles would come back five years later to author the Monolith series. Dare he return a decade after in 2017? Probably not, but stranger things have happened! 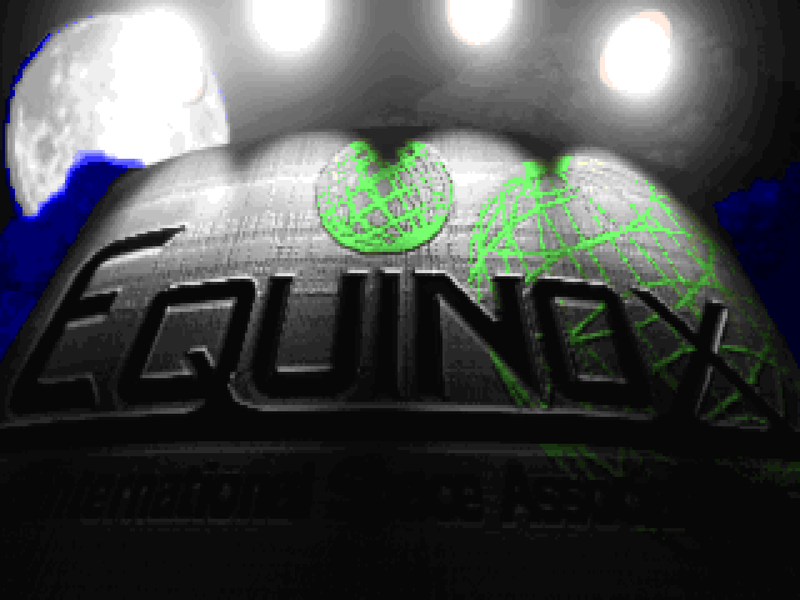 Equinox followed right on the heels of the ridiculous, engine-crushing Nuts toward the end of 2001. This implies that the former - a Doom II thirteen-level mapset for limit-removing source ports - had already been in development for quite some time. Both were created by the mysterious B.P.R.D. 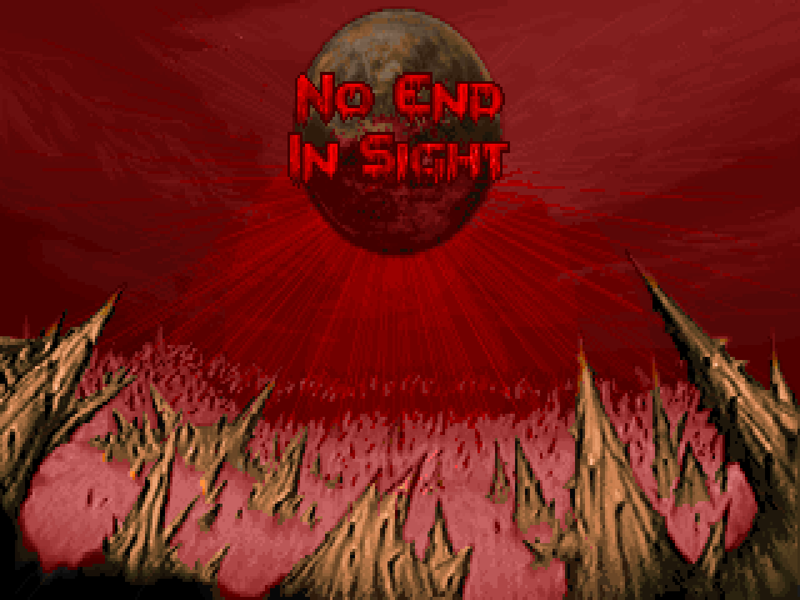 and while Equinox is much closer to traditional Doom level design there are enough instances of large areas and mixed monster packs to suggest that full-on enemy infighting was more woven into the author's Doom DNA than the casual silliness of Nuts (created to test the /idgames upload process) suggests. Looking at this and B.P.R.D. 's subsequent releases, including the magnificent yet maligned "Mucous Flow", it's clear that the author has enjoyed a considerable legacy of influence with today's level designers. I played Shadowman's Inquisitor and its sequel back in 2014. Both are experiments originally begat by Russian "freakmapping" contests where a procedurally-generated layout is used as the foundation for people to make their own levels. The original INQSTR was controversial for its political / sexual undertones focused around a mysterious, metaphorical allusion that sullied an otherwise pretty cool castle adventure stylized after Hexen II. 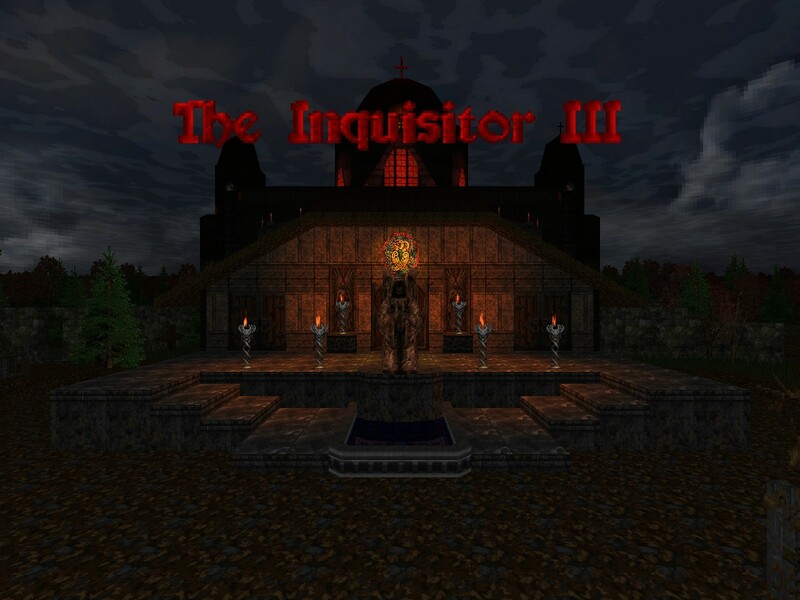 The Inquisitor 2 pushed in a different direction, attempting to channel the dungeon crawler combat of the Diablo series complete with an overworld town and quests that you could accomplish to further your power, exploring a fair variety of dungeons all within the space of a single level. Its bold aspirations were tempered by highly claustrophobic combat and boxy architecture. I haven't played Doom in maybe three months and any notion of wanting to keep abreast of the cream of the community crop, when coupled with the time I've been working and wanting to spend time with my baby, has sapped me of any will to keep up with this hobby in my free time. It's been a long time coming but I officially withdrew myself from the Cacoward panel; I hope anyone who read the things that I wrote for the Cacowards appreciated them, even if they hated the piss out of some of the selections. 1) finish the review for INQSTR3, maybe the biggest millstone around my neck if only because it's been half-assed for so long, but it's been mostly written (with a whopping 20 paragraph "overview" section... so far) DONE! When Doom's source ports started incorporating "advanced" features like scripting, I believe that there was a sort of fevered excitement as though these things would "elevate" it from a 1993-era FPS to something more in line with at least the late 90s, like Quake, its Stroggy sequel, and Half-Life. Over time the enthusiasm for expanding Doom's gameplay beyond the niche it rather robustly occupies waned and we are now up to our knees in vanilla and Boom-oriented maps and mapsets that continue to mine new depths beneath its rugged exterior. There's still a solid brace of people making highly inventive things with source ports, of course, but the days of authors like Kurt Kesler churning out little ZDoom mini-adventures appears to be gone, its peak madness left back in the early '00s. 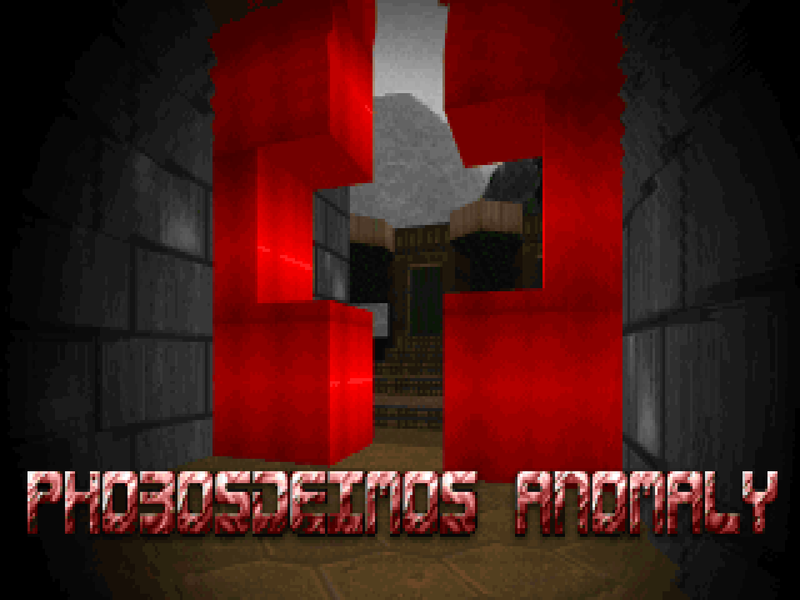 Tommie Quick made a couple of vanilla maps back in 1997, took some time to tour with TNT and their deathmatch megaWADs, and then jumped into ZDoom modding for several releases in 2001. Trust came first; it's a Doom II mapset boasting what technically amounts to seven levels but the opening three are pretty much just iterations of MAP01 that I assume exist due to ZDoom's technical limitations at the time. Trust shares a few details with 2000's Paranoia as both of them crib some ideas from Half-Life, then still hot on the minds of FPS fans, but Trust remains much more grounded in Doom's universe. Tommie Quick slid in at the end of Doom's Golden Age, releasing a few levels in 1997 before hitching his wagon to Team TNT and helping to crank out a few deathmatch megaWADs. UAC Headquarters is his second publication, but I get the feeling that it's actually kind of old, perhaps a relic of an unreleased portfolio - one he simply felt good enough to push out the door. Like his Flood Mines, it's a MAP01 replacement for Doom II. His first publication was sort of an underground earth / tech split, though, where TQMAP02 is all electronics and while the vast majority of the level does not take place outside, most of it occurs within the titular UAC Headquarters. Why you're clearing out another UAC installation isn't mentioned but any reason should come fairly quickly to the imagination. 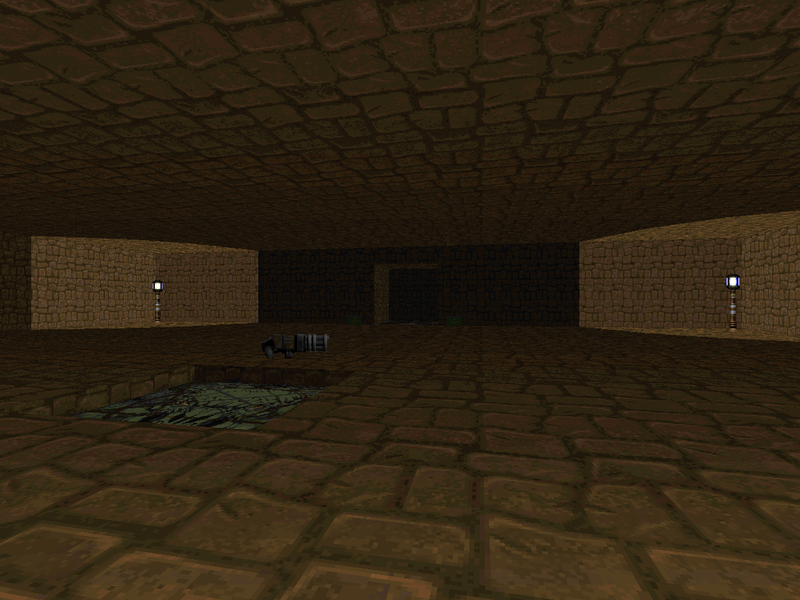 Flood Mines is Tommie Quick's (aka Fatal) first published level, a MAP01 replacement for Doom II released in 1997. A member of Team TNT at the time, it wouldn't be until their later deathmatch WADs (Pursuit and Reclamation) where he would establish himself as a contributor. 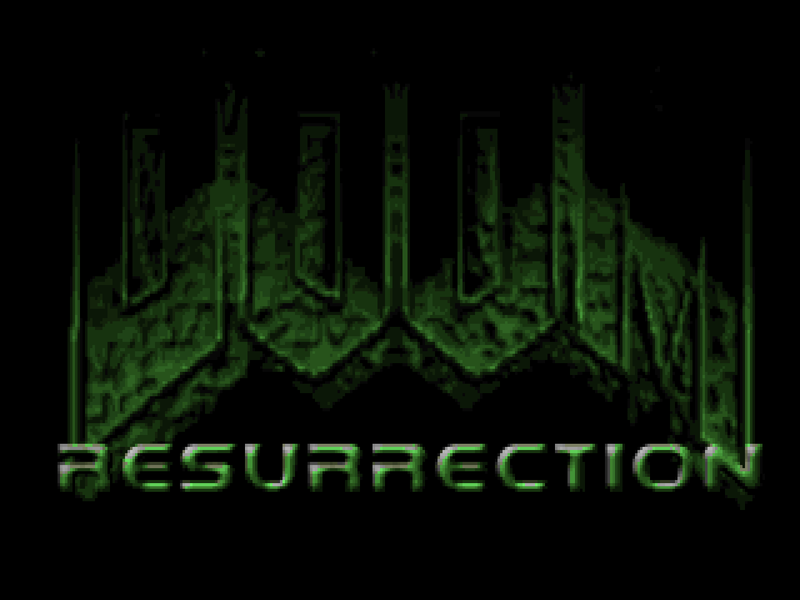 If he's known for anything, though, it's probably his 2001 ZDoom projects, TRUST and Doom Resurrection Episode 1. Where those horsed around with stories and setting there is nothing establishing the narrative of Flood Mines. It's just an ordinary extra mission for Doom II, prestigious by association. Hexen II... Quake II... Half-Life... Quake III... Dark Forces. 2000-2001 was a pretty busy period for Rex Claussen and saw him play with a lot of different themes, adopting resources from an assortment of games as he embraced the ZDoom engine as more than just another limit-removing port. First designing Military Research Complex for jumping, he later incorporated scripting into Paranoia and hub systems in Temple of the Ancients, finally including actual monster modifications in this, The Darkest Hour (DeHackEd, I know, but work with me!). DARKHOUR, a Star Wars-themed 2001 release, was Rex's only publication of the year and consists of seven maps, one of them a secret requiring you to use the force... of a rocket. At your feet. In some ways, Temple of the Ancients is the sort of project Rex has been leaning toward since he began his authorial career. 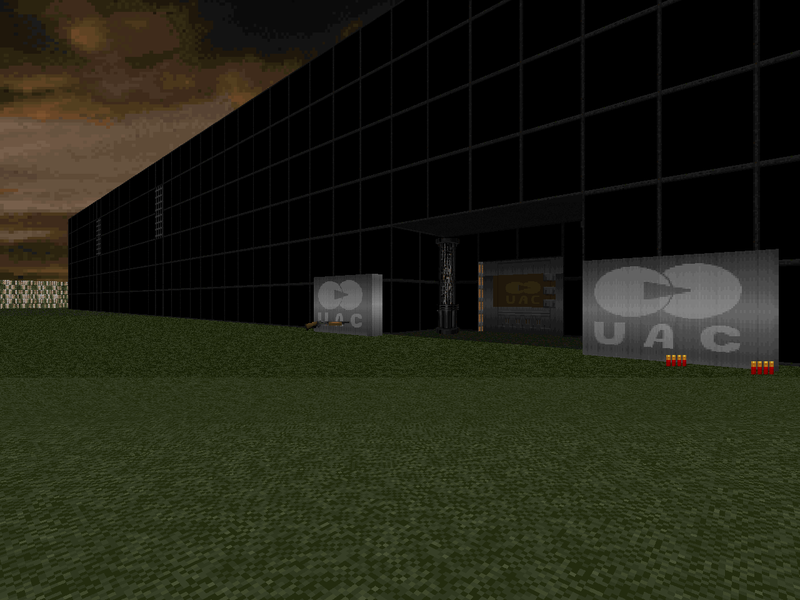 While he may have tested his levels in ZDoom, they weren't really specific to it until he started to embrace jumping in Military Research Complex. Phoenix Rising saw him play with the idea of if not the actual mechanics of a Hub arrangement and Paranoia involved the incorporation of scripted events to push the gameplay slightly beyond the tried and true limits of Doom. 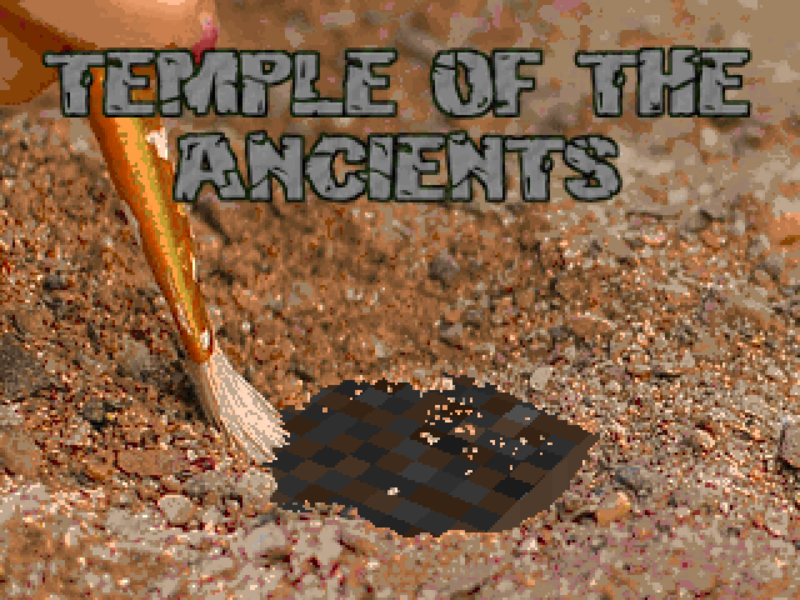 TEMPLE2 then takes both of these elements and welds them together for a dashing adventure, released in 2000. While Temple of the Ancients is another five-level mapset, it sits in map slots 10-14 instead of the MAP02-MAP06 block that Phoenix Rising and Paranoia had. This is the one time I can't really guess at why it's structured as such since Claussen has used the MAPINFO lump to set skies and music. 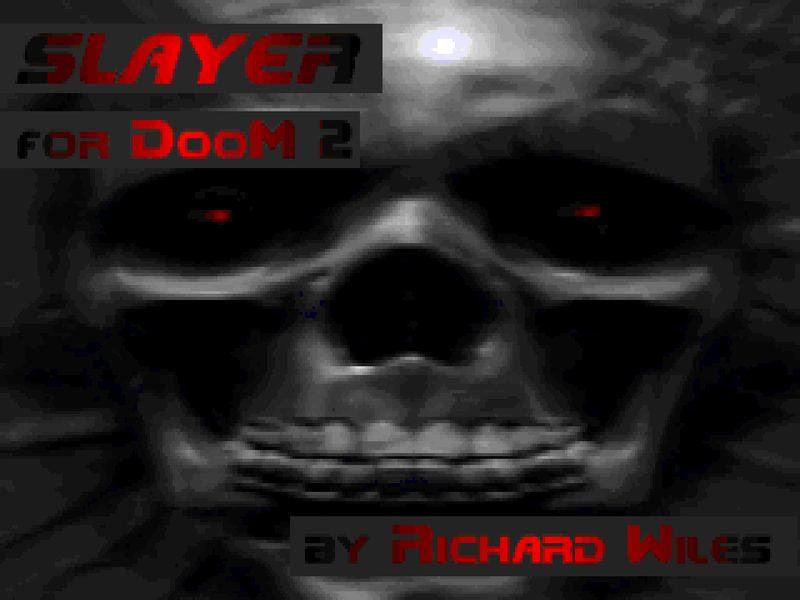 So far, I've played two of Rex Claussen's 2000 Doom II "TCs". 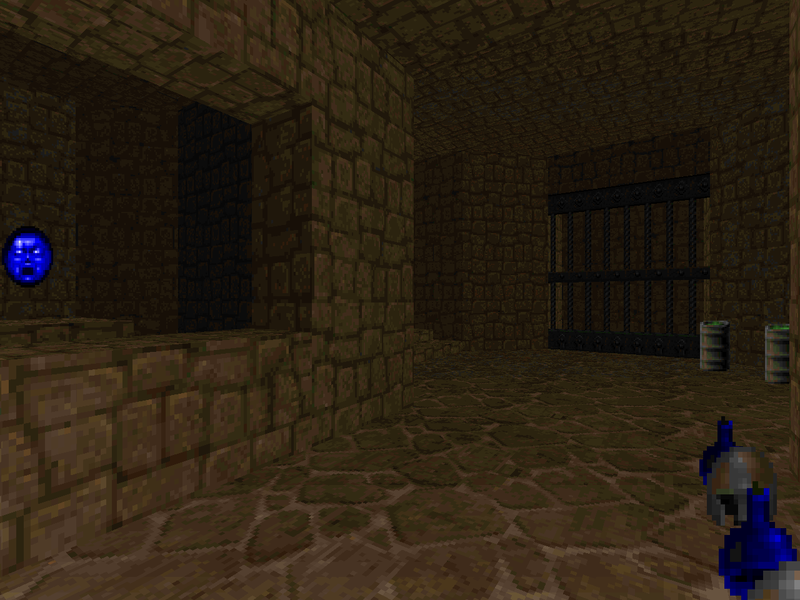 The first, A Hex On You, mined the resources of Hexen II. The following release, Phoenix Rising, pulled from the world of Quake II - among other things. This time, he's set his sights on the Half-Life universe. 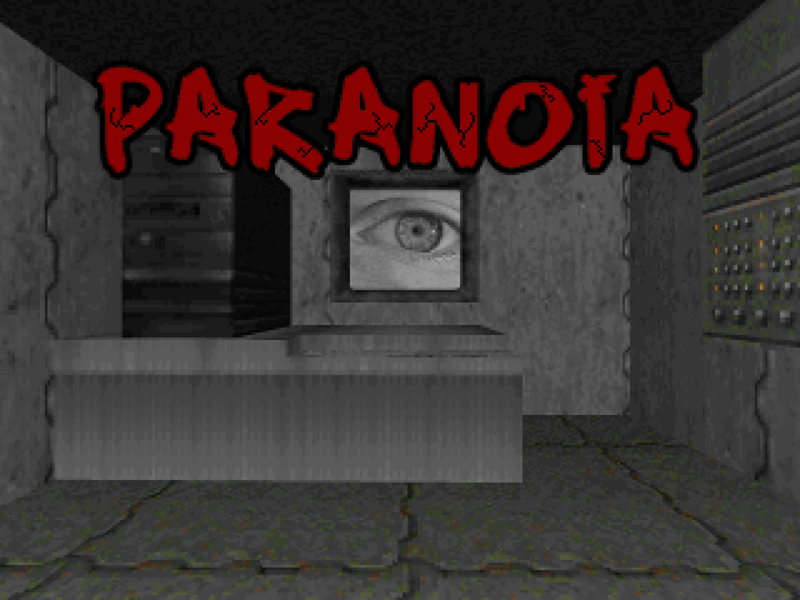 Paranoia has a few superficial commonalities with PHOENIX; there are five maps, for one, also spanning MAP02 to MAP06. However, where Phoenix Rising only took the textures of Quake II, Paranoia makes a thorough bid for Total Conversion by also using weapon and enemy sprites pulled from the game's models and sort-of-kind-of-finding matches in Doom II's monsters. The result is... interesting. It all began back in 1997; Emil Brundage released The Beginning of the End (Part 1), laying the seeds for an author crush that saw consummation with the advent of Doom the Way id Did some fifteen years later. Xaser was (and still is) Emil's biggest fan, and while none of the latter's maps made the final cut for DTWiD, the two plied together their trades with the inimitable Chris Lutz to make their OWN original Doom megaWAD. Thus began No End In Sight, whose final release continued to elude its authors. In 2016, however, it exited Limbo along with its fellow offshoots (Phobosdeimos Anomaly and DTWiD: The Lost Episodes). The year 2000 saw then-Gurkha Boy but future-Rex Claussen move away from the tried and true vanilla Doom II textures to experiment with assets belonging to other games in a minisode format. 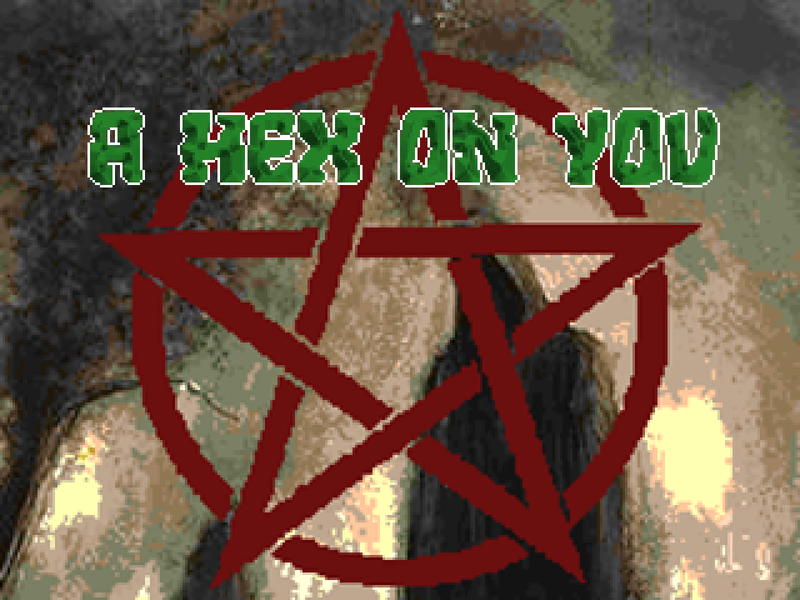 The first theme on the list was Hexen II, explored in the cheekily-titled A Hex On You. 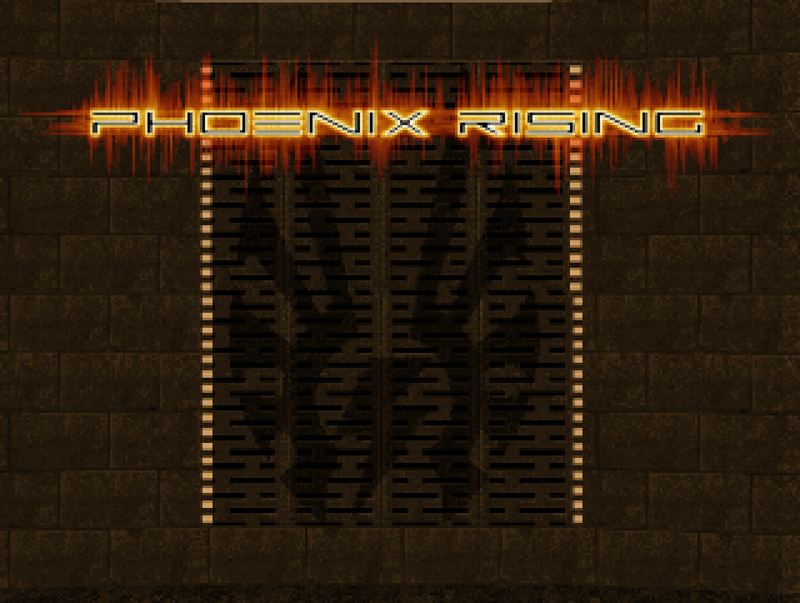 The next on the chopping block: Phoenix Rising, a five-map minisode for Doom II using resources from Hexen II's sister game, Quake II. Like HEX_ON_U, it's mean for a limit-removing source port that has several features including jumping. Anything in the ZDoom family ought to work. One important note: PHOENIX begins on MAP02 so make sure you set your clock ahead one level. 2000 was a pretty big turning point for Rex Claussen. While he was still going by Gurkha Boy he paused the manufacture of ostensibly limit-removing levels (following the trend of Military Research Complex) and returned to the minisode format of his first release, Quo Vadis. More importantly, Rex started experimenting with texture packs for new level themes. 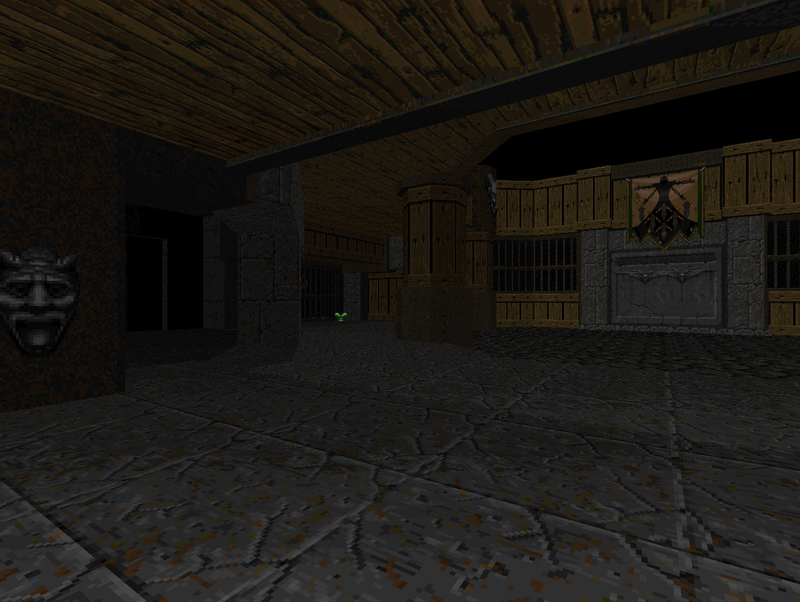 A Hex On You is the first of these "total conversions", a three-map minisode for ZDoom using the textures of Raven Software's highly popular Hexen II. The one thing that's not particularly like Rex is the lack of some sort of prose establishing the action, but the author has deigned to pitch the levels like a tour guide in the .TXT. Rex Claussen started out under the moniker of Gurkha Boy, making levels for limit-removing ports after enjoying Ian Wilson's Herian 2 as well as some correspondence. 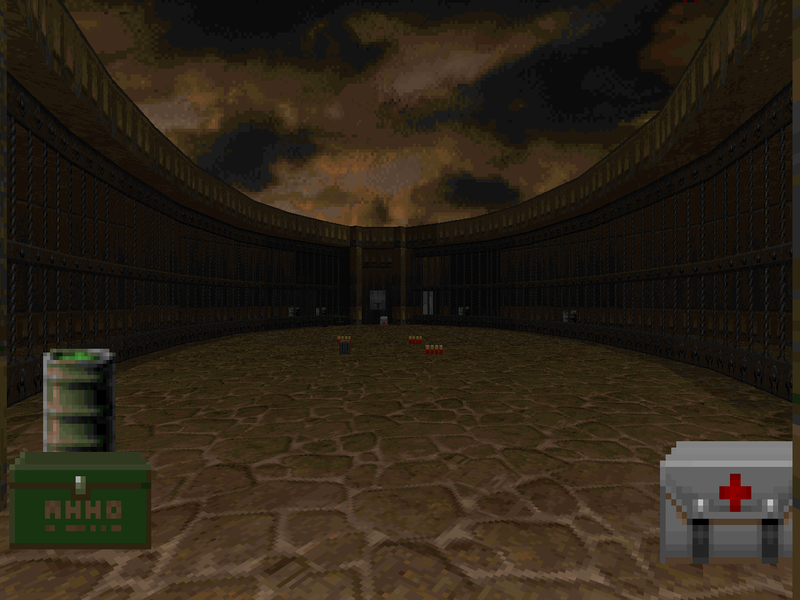 Arena, his fifth release, breaks with the source-port requirement for the first time for an experience that can be enjoyed in vanilla Doom II. It's a MAP22 replacement released in 1999 and it's also really easy to explain because it's actually a scant 19 monsters deep. It's literally an arena, of course, and nothing more. One of those interstitial ambushes as Doomguy travels between larger adventures, I suppose. This is an update to my image hosting situation since I recently hit a major milestone. All reviews back through October 2014 (stopping at BTSX E2, the last one I had all the 1280 res images backed up for) have been backfilled. I have some others from June and May of 2011 and a few isolated stuff I did for tumblr Screenshot Showcases (like Speed of Doom) but from here on out I will be backfilling from my Imgur library, saved at a more sensible resolution of 640 / 600, depending. I did a good job at making a healthy review buffer but I will be eating through it due to working way too much overtime and my daughter, my firstborn on 11/29/16. Doom is not forgotten, but I may stretch out those Claussen episode reviews to seven days instead of the five day norm, depending on what I get done. Military Research Complex is Rex Claussen's fourth release in 1999 and number four of his career. Like his previous level, Decimate, it's a MAP14 replacement designed for advanced source ports and tested in ZDoom. There are a few really big differences, though. For one, COMPLEX is a HUGE level when it comes to real estate. This is in stark contrast to Claussen's relatively short levels though it meshes with the swaths of empty space in the comparatively smaller Decimate. More importantly, Claussen's previous releases specifically mentioned that they were not designed around jumping. Military Research Complex is and says as much in the .TXT. If you assume otherwise, like I did, you'll be hopelessly stuck. Rex Claussen got his start in 1999, making levels for ZDoom because of its limit-removing feature. He was apparently inspired by Ian Wilson's Herian 2; Wilson subsequently played the master to his apprentice as Rex - as Gurkha Boy - learned the ropes of Doom editing. Decimate is Claussen's third career release, coming in the later part of 1999. 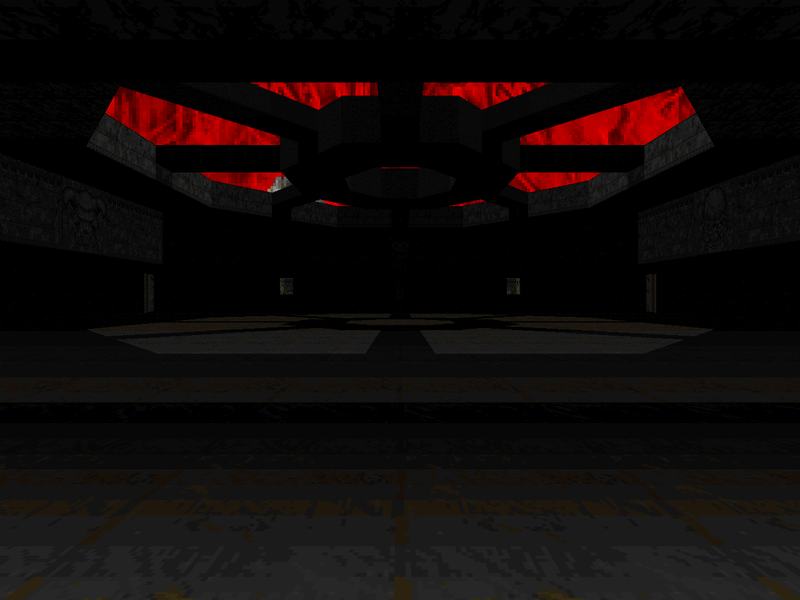 It's a MAP01 replacement for Doom II, just what you need to get your motor D_RUNNIN. While Rex tested these levels in ZDoom he does not appear to have used any of its more specific "features" so they ought to work fine in any limit-removing port. 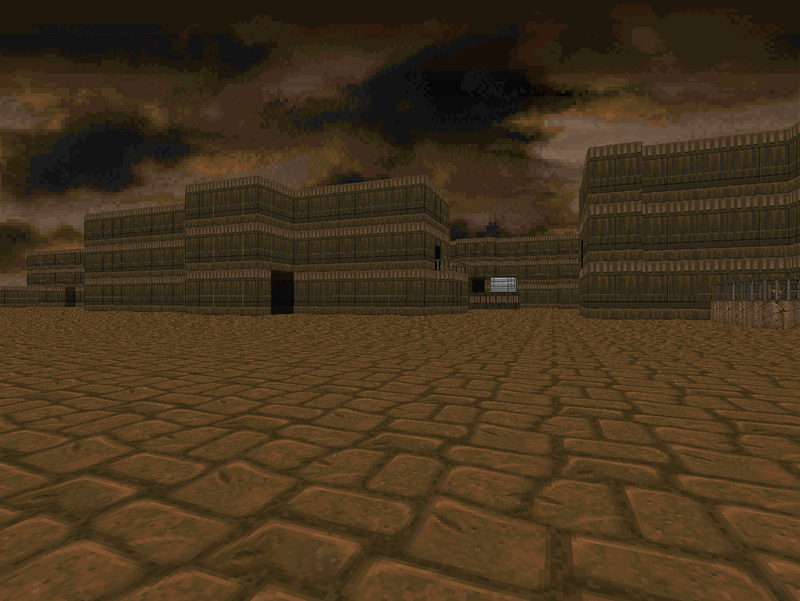 Back when Rex Claussen started mapping, he was making what he hoped were limit-removing PWADs and testing them in ZDoom, inspired by his admiration and correspondence with Ian Wilson of Herian fame. Fear Island is his second release both in 1999 and in his entire career, a single level replacement for Doom II in the MAP22 slot that works fine in ZDoom and might work in other source ports. Unlike his first publication, Quo Vadis (aka PUGILIST) there isn't an enormous story document; Claussen's presentation is short and to the point much like the level itself. Ah, 1999, when ZDoom was fresh on the streets. Ian Wilson made the considerably more polished if still contemptibly obtuse Herian 2 and thus suckered in another Doom author. I'm talking about Rex Claussen but he called himself Gurkha Boy back then. 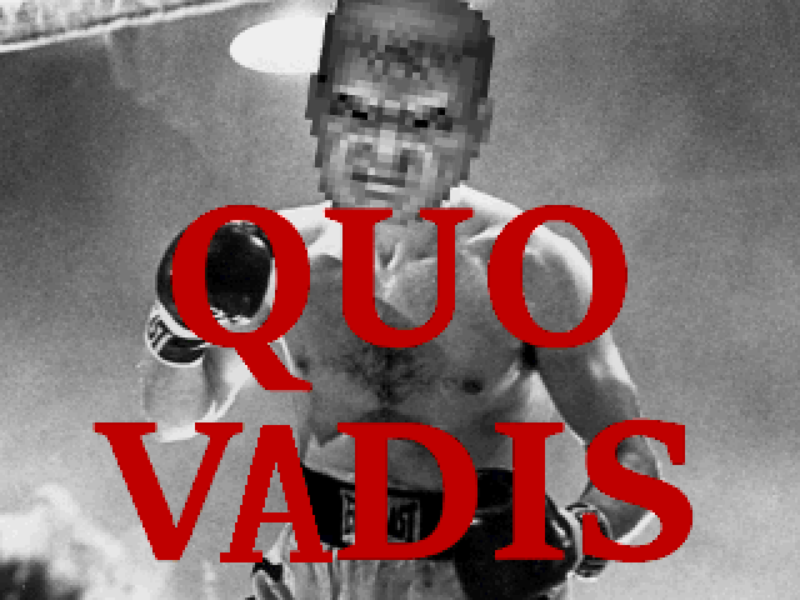 Rex went on to have a long and storied career beginning with Quo Vadis, a three-level minisode for Doom II. I'm not sure if PUGILIST - named for its gameplay and the story composed to justify it - is specific to ZDoom or if it will work fine in any limit-removing port, which is what the .TXT implies. All I can tell you is that it was tested in ZDoom and as of the time of this writing the two still work together. Fredrik's biggest claim to fame is his Vrack series, firmly establishing the space base theme in our hearts, but he released one other map in 2001 besides Doomworld's Top 10 favorite Vrack 2b. 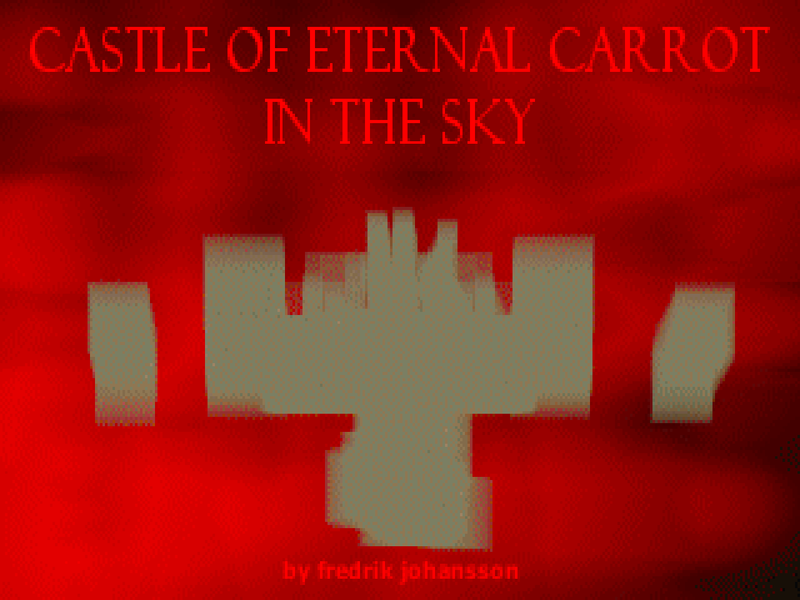 The unusually-titled Castle of Eternal Carrot in the Sky, like his previously released levels, is a MAP01 replacement meant to be played in Boom. Opinion on /idgames appears to be fiercely divided and it's pretty easy to see why within moments of loading up the level. It's a Hellish, Gothic castle of green marble and dingy metal floating in the limitless void of Hell with pools of toxic blood dominating its back half. This isn't why it's earned the ire of some of its players, though. The original Vrack was released back in 2000, inspired by Dystopia 3's MAP04 and LucasArts's Dark Forces. The name of the game was a base in space and a big one at that. Fredrik's orbital platform was a pretty novel setting, but it didn't quite catch the eye of the public as strongly as its sequel did, leading to its enshrinement as one of Doomworld's Top 10 WADs of 2001. There are actually two versions of the sequel on the archives, original and extra crispy (2b). All of the changes are under the hood, adding Deathmatch starts, a REJECT table, and cleaning up the artificiality of the void; the original remains for demo compatibility purposes. That said, this review was written on Vrack 2b, a MAP01 replacement for Doom II and designed for Boom. Vrack 2 gets all the accolades as the face that launched a thousand space station levels, but Fredrik Johansson started out with just plain Vrack back in the year 2000. If you don't know who he is, well, you may have seen him up at the top of Doomworld's Post Hell. He's also done some other really cool things for the community, like create the Omgifol tool used to generate those lovely automap-type images and start up the Doom Wiki project. The original Vrack is his first publication, a MAP01 replacement for Doom II to be played in Boom-compatible ports. The story about as threadbare as can be ("somewhere on a base located somewhere in space") and references contemporary Doomworld forum member Mewse, so just take it for what it is: an excuse to go slaying demons on a big space platform. Russell Pearson started making maps back in the early days of the community but then took a break until 2000 where he started looking over his unreleased works originally created as part of a TC entitled DoomTown3. The author ended up putting his past behind him while working on a level to better reflect his changed sensibilities as of the year 2000. He even went so far as to axe a section of level that he liked but felt did not fit the spirit of what he was trying to do, leading to 2001's Deleted Scene. 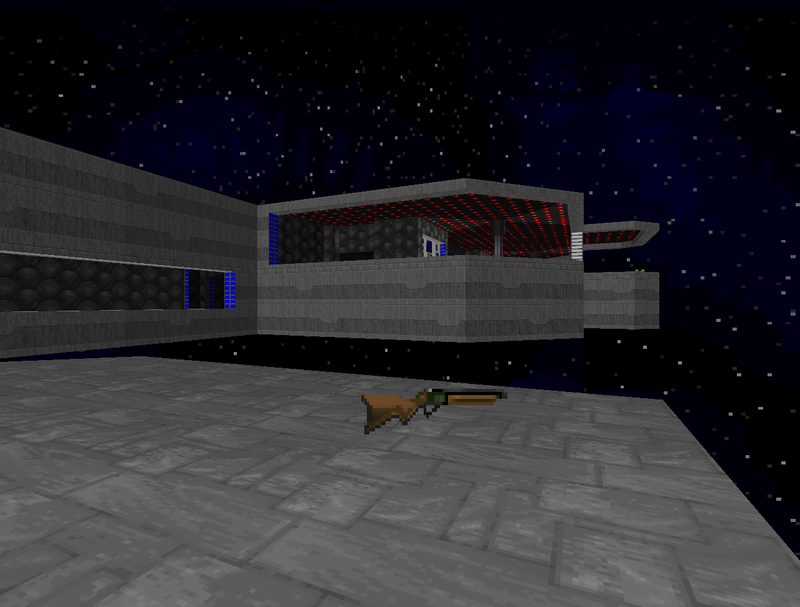 The final product is the much beloved Null Space, a MAP01 replacement for Doom II, also released in 2001. Russell Pearson didn't start publishing Doom maps until the year 2000 but he was working on his token ambitious TC back during the early days of Doom modding; 1995 by his estimation. 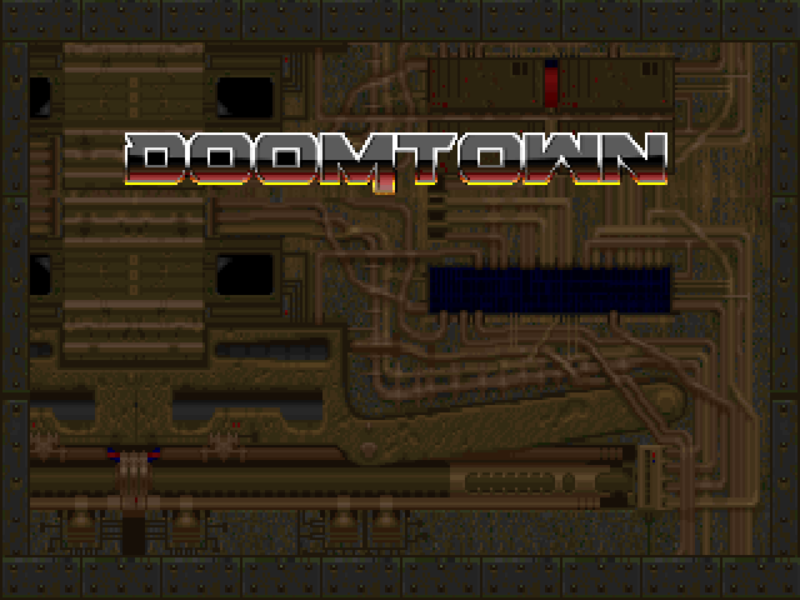 DoomTown3 was probably planned to be a megaWAD but Pearson released several select levels from it - Blastem2 and Tunnel Run - as well as a small deathmatch level (Close Kill) before publishing the remainder in a micro-sized map pack called DoomTown. I imagine that the author felt compelled to put his history firmly behind him. 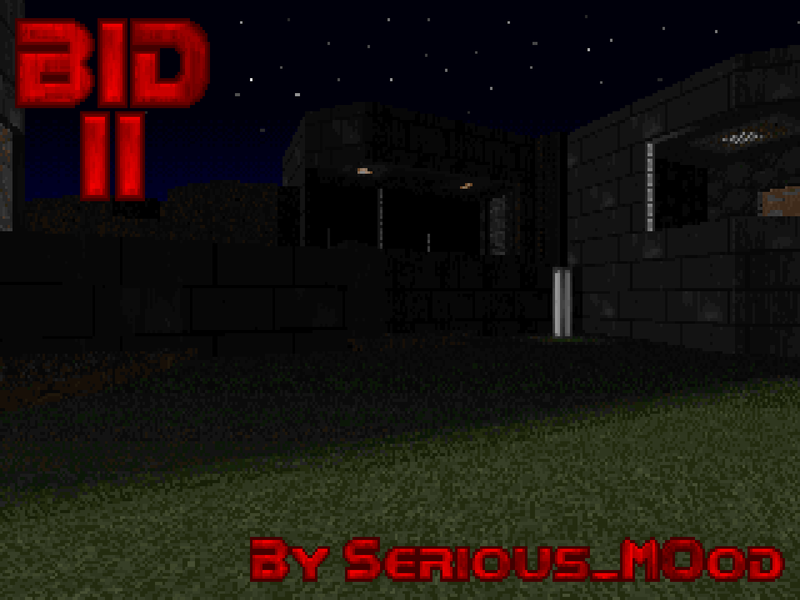 Released in 2001, this is a three-map minisode for Doom II to be played in any port owing to its pre-source origins. 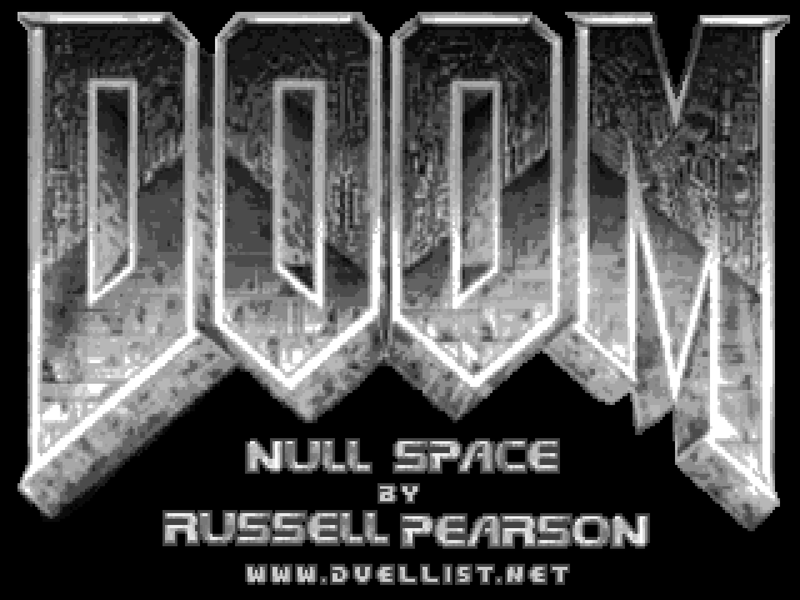 Russell Pearson released his seminal Null Space at the tail end of 2001 but not before nixing a portion of the material. Where some authors would be content to just slash and burn, though, Russell took the extract and released it on its own as a sort of extra. Deleted Scene is thus just that, plus a few small sections from the originating work in order to make it a fully functional level. 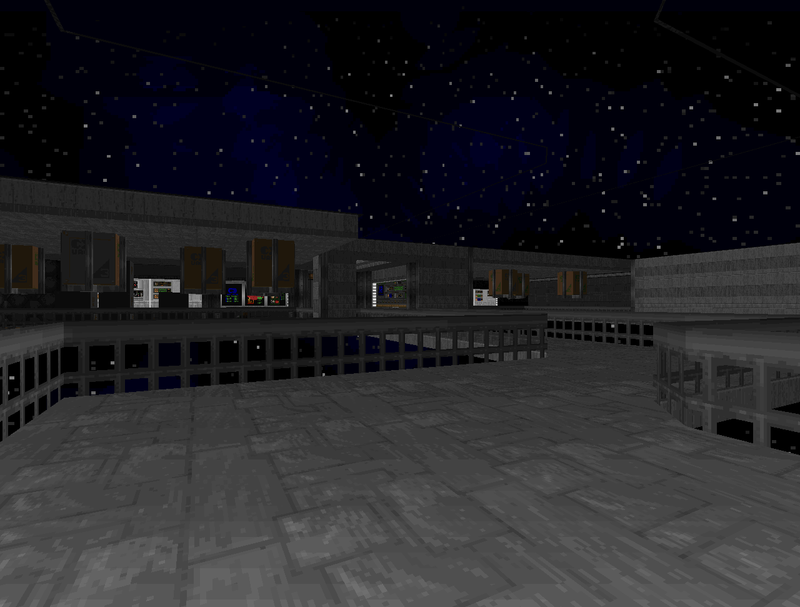 The end result is a MAP01 replacement for Doom II, released in 2001 for any vanilla-compatible port. Its origin as an outtake is the closest thing you're going to get to a story but it's interesting to read Pearson's author notes. They detail why he cut it but also posture it as a sort of teaser for the impending Null Space. Russell Pearson was one of several authors to come to the forefront during the advent of Doom's silver age resulting from the release of source such as Boom and ZDoom. Where guys like Kurt Kesler and Ed Cripps were playing around with The New Technology, though, Russell remained to hack it out in plain vanilla. At least, until he released Crypt of the Vile. His first big project was supposed to be a TC called DoomTown3 but he doled out two of its planned levels - Tunnel Run and Blastem 2 - as single level releases before publishing the other three as Doom Town proper. This review covers the second release, Tunnel Run; released in late 2000, it's a MAP01 replacement for Doom II. If Russell is to be believed, he started making his initial crop of maps back in 1995. The goal: a TC called DoomTown3. In 2000, he published two select entries from the TC; the language in his releases leaves room to interpret DoomTown3 as something ambitious ("presented here as a straight forward Doom2 level") but I am more inclined to believe that TC was to Russell what megaWAD is to me. DoomTown3 was never completed as the author envisioned it, but we have its finished bits and pieces. Blastem2 was the first of Pearson's levels to ever see publication, a MAP01 replacement for Doom II. Ed Cripps had a pretty unassuming series of releases before his Big One; a little Doom II water plant, a new Icon of Sin level, and a pair of Knee Deep in the Dead-styled maps for the original. He knocked off single player for awhile and did some deathmatch mapping before returning almost two years later with this, Sin City. 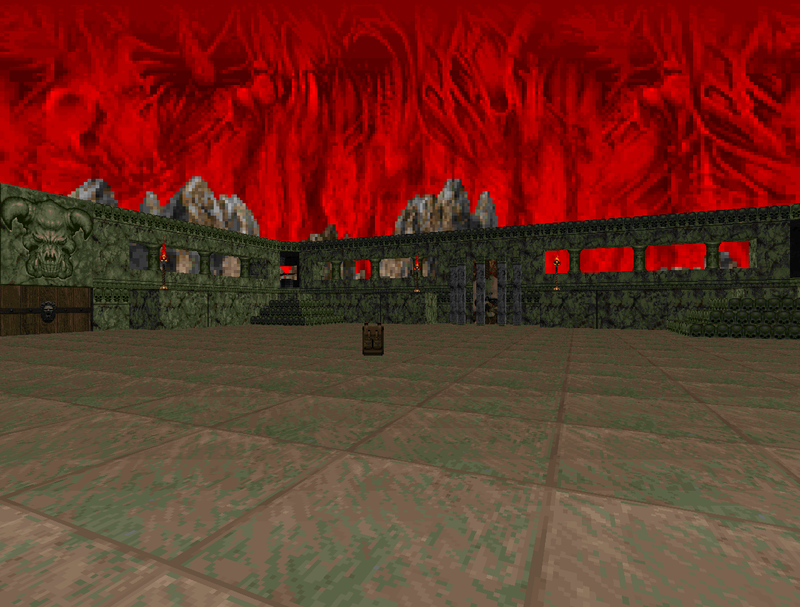 Like his previous levels, it's a MAP01 replacement for Doom II, just a bit later in 2001. 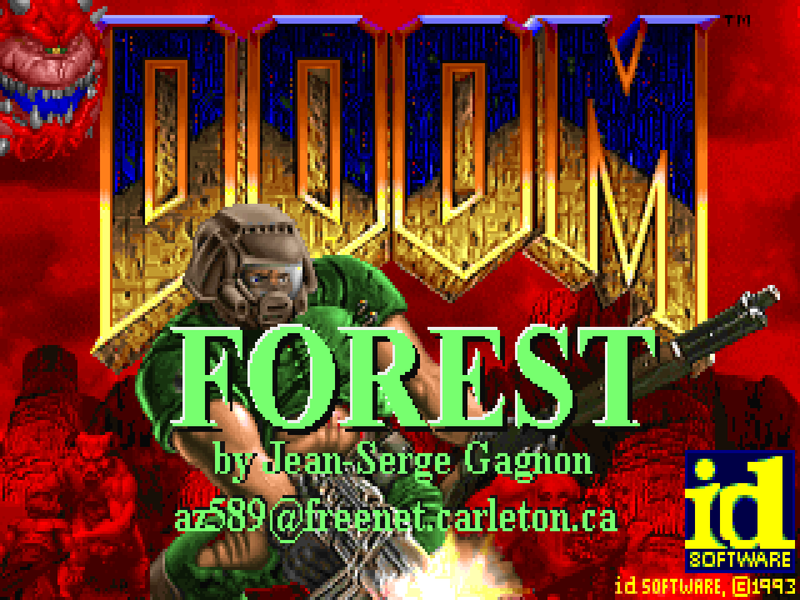 Unlike his past works, though, it was made for what was at the time the cutting edge: a beta release of ZDoom. It just goes to show that making stuff for rev versions and unofficial Git builds has a long and storied tradition. 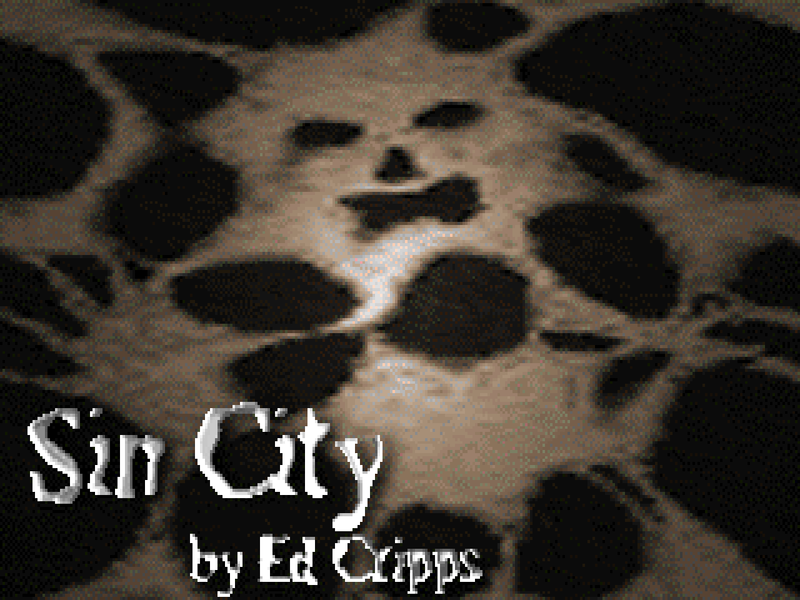 Ed Cripps's Reunion series is only two levels long, both made in 1999 before entering the spotlight with Sin City and parts beyond. After starting out using the Boom engine Ed for whatever reason dialed it down to vanilla. I assume that he, like so many authors predating and following him, was attempting to cut his teeth on a familiar style. Both maps are patterned after Knee Deep in the Dead in their texture themes. Reunion 02, much like 01, occupies E1M1. The map has roughly the same amount of monsters but the number of each is a bit different. While it still has an angled-off corners feel that gives it a more organic appearance, Reunion 02's approach to level design has some key differences.